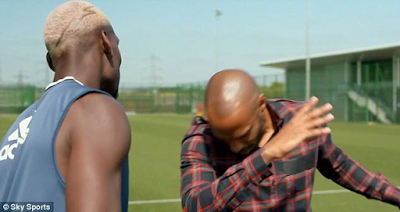 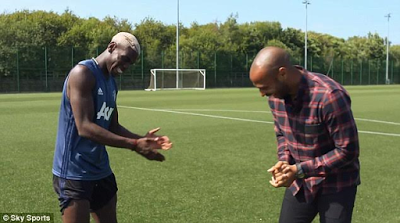 New Man U footballer Paul Pogba was photographed doing the dab dance alongside his childhood idol Thierry Henry who now works as a football Pundit. 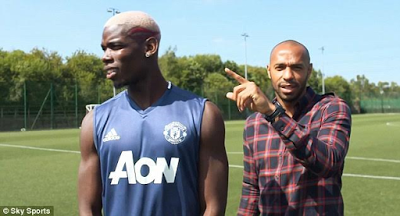 French football icon Thierry Henry visited Man U’s training ground on Thursday to do a Sky Sports interview with the World’s most expensive player ahead of his second debut for Man U against Southampton on Friday night. 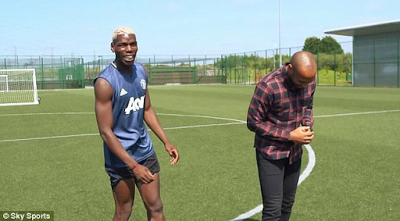 More photos below..